The first thing my dad taught me in life was his golden rule. Not the golden rule, but his own. He taught me by holding doors and letting women enter before him. He taught me by giving up his seat on the bus or subway for women who wanted to sit. He taught me by pulling over to the side of the road to help women whose cars had broken down. I always saw each gesture as less of an act of chivalry and more as a general concern and high regard for women. The golden rule says to treat others as you would like to be treated. The golden rule implies we all are equals and therefore we should treat others as equals. But the golden rule is more of a bare minimum of decency—not the ideal. We can and ought to do more, especially for women who have often been denied rights and respect throughout history. My dad’s golden rule demonstrates that we should go out of our way to lift up the dignity of women—and all marginalized people—even when it is challenging and inconvenient to do so. 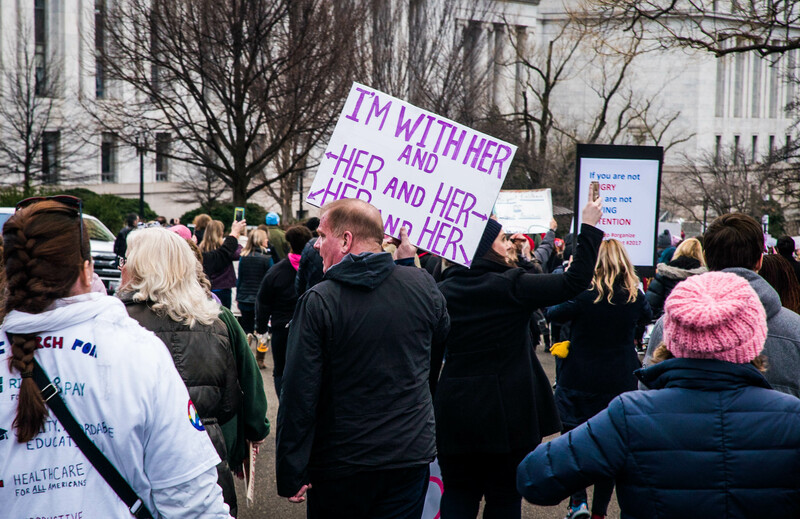 On Saturday, I attended the Women’s March on Washington simply because, as a man, I believe women deserve equal treatment. Mr. Trump’s behavior and rhetoric have often objectified and demeaned women, such as when he notoriously bragged about grabbing women by their vaginas. Women, Mr. Trump’s behavior suggests, are not only worth less than men—they are only useful when put at the service of men. His misogynistic behavior exclaims “me first.” This view of women is both dehumanizing and dangerous. The biggest lesson I learned during this election is that the personal and the political cannot be separated. In his inaugural speech, Mr. Trump said, “every country has the right to put themselves first.” I believe this nationalistic fervor reflects the same “me first” attitude that seems to contribute to his misogynistic behavior. Ultimately, both President Trump’s personal and political outlooks have the potential to have severe consequences for women in our society. That is why I marched on Saturday along with millions of other men and women. I hoped to be true to my dad’s teachings and to proclaim that Donald Trump’s attitudes and behavior should be unacceptable to honorable men. They certainly are unacceptable to many, many women. Nick Genovese is an O'Hare Fellow at America.